This is actually my fifth grade class, not the fourth grade class referred to in the story. 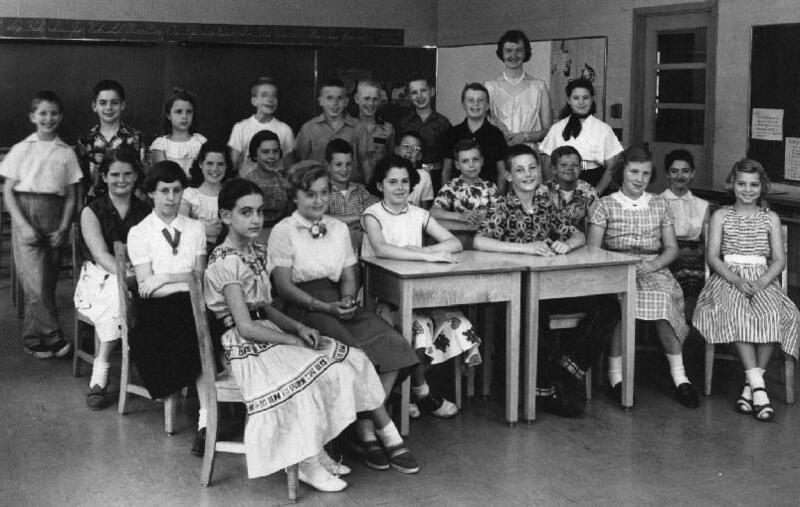 However, the Wilmette public schools had a practice of keeping all the students together in the same class all the way from fourth through sixth grades, so almost every one of these kids was also in my fourth grade class. April, 2009 update: I know for a fact that three of these people are dead. David Coolidge is the CEO of a venerable Lasalle Street financial institution, Doug Mitchell is a senior acquisitions editor for the University of Chicago Press, and Marty Magera worked for Underwriter's Laboratory for many years and is now retired. I recently learned that Duncan McDougall is a professor of business at a college in New Hampshire, currently enjoying a Fulbright in Romania. The rest I don't know about.